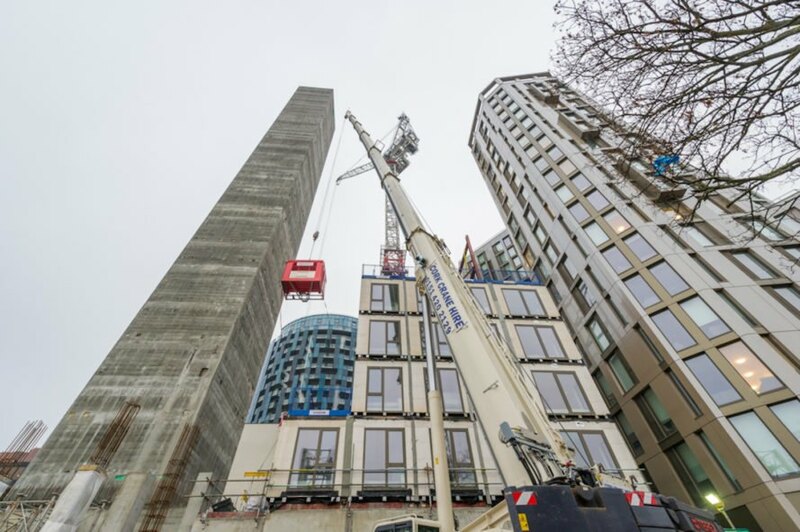 The last module has slotted into place on Europe’s tallest modular tower. 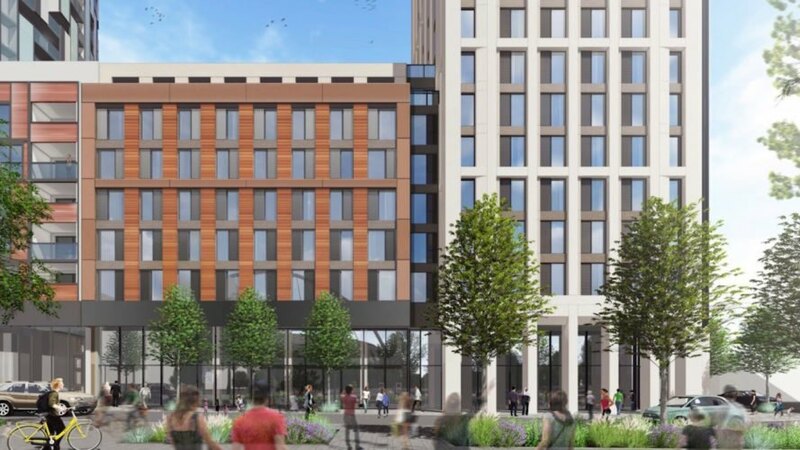 Designed by multidisciplinary practice HTA Design LLP, the record-breaking Apex House is a new student housing development that rises to the height of 29 stories in the Wembley Regeneration Area. 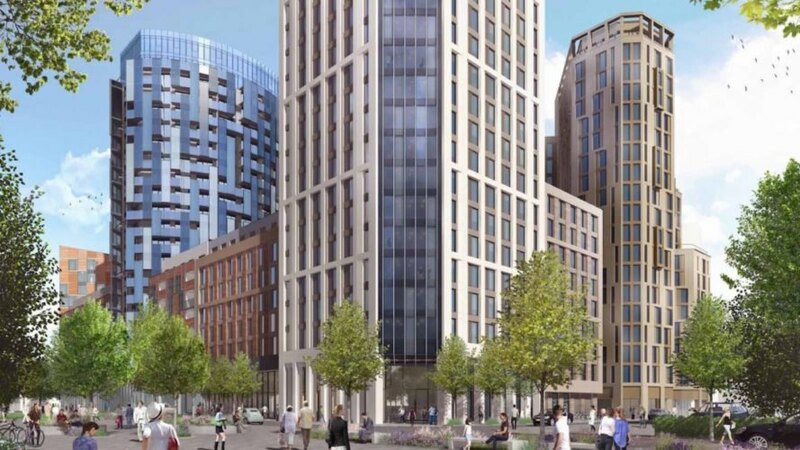 Completed in just 12 months, the modular high-rise makes use of highly advanced prefabrication techniques and boasts energy-saving systems to achieve a BREEAM rating of Excellent. Developed by Tide Construction and Vision Modular Systems, the Apex House comprises 679 modules with over 580 rooms that’ll be ready for students to move into this fall. The modules were prefabricated in Tide Construction and Vision Modular Systems’ factory 60 miles away in Bedford with all the furniture, windows, electric wiring, and plumbing installed before they were transported to the site. The modules were stacked to a height of 90 meters in just 13 weeks. 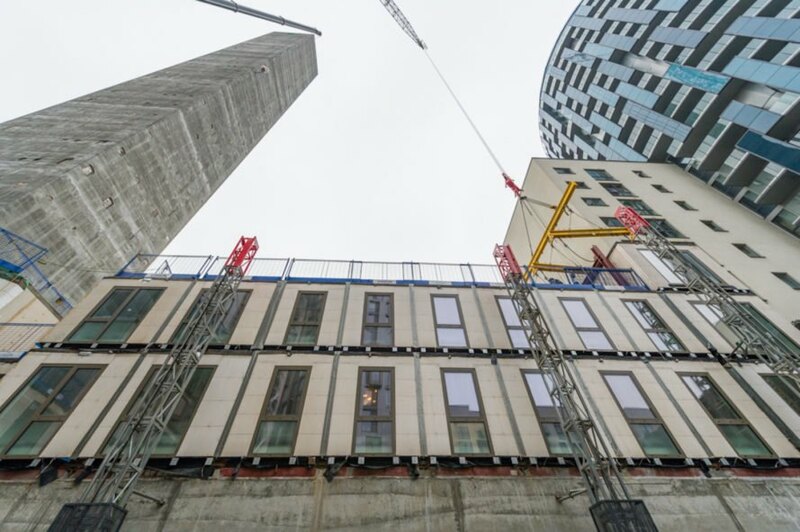 “Modular construction provides a much faster alternative to traditional construction without compromising on the quality of the building, or the versatility of the design,” said Christy Hayes, chief executive officer at Tide Construction, according to WAN. “Modular produces 80% less waste, requires fewer onsite workers and provides certainty of cost and time. 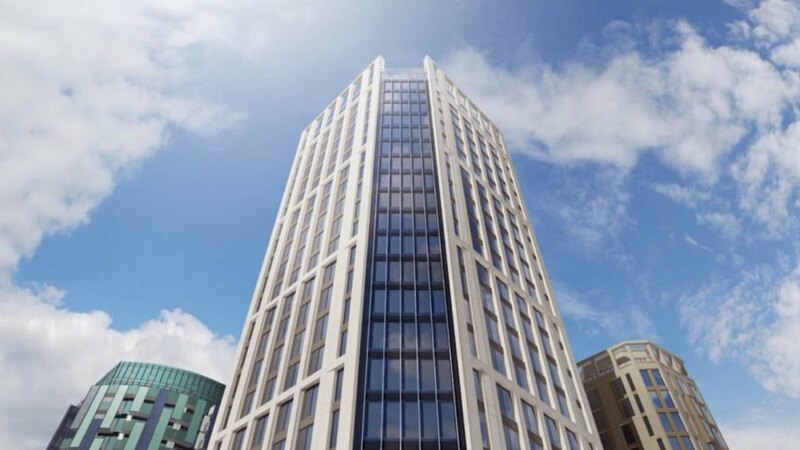 Apex House is a shining example of what modular construction can bring to UK property, whether its hotels, residential apartments, build to rent or student accommodation.” The Apex House is the second tallest modular building in the world. Building offsite is such an obvious idea that I'm surprised we don't see more of it. I also believe that the made-for-rental business model will catch on and revolutionize the building industry. Developed by Tide Construction and Vision Modular Systems, the Apex House comprises 679 modules with over 580 rooms that’ll be ready for students to move into this fall. The modules were manufactured in Tide Construction and Vision Modular Systems’ factory 60 miles away in Bedford with all the furniture, windows, electric wiring, and plumbing installed before they were transported to the site. The modules were stacked to a height of 90 meters in just 13 weeks. The Apex House is the second tallest modular building in the world.